Find hotel near Road Transport Hall Of Fa .. The Road Transport Hall of Fame is home to wide collection of fascinating huge trucks, chassis, vintage cars and a few ancient road trains. The sole aim of the museum is to preserve the unique olden modes of Australia’s transport. The entry to the museum is valid for 2 days. How popular is Road Transport Hall Of Fame? People normally club together Alice Springs Reptile Centre and Larapinta Trail while planning their visit to Road Transport Hall Of Fame. Fantastic museum. Definitely a must visit when in Alice springs. 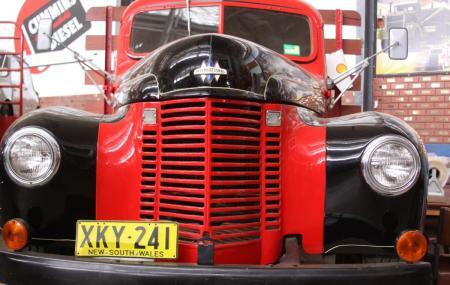 A large diverse range of old trucks on display with a lot of outback history behind them. Its nice to camp, bus, caravan or stay here. It is a family place and most reasonable rate in Alice but not your typical 'caravan park' because it isn't one, its a transport museum which is pretty cool in itself and the people are very nice so it doesnt matter I'm not that into trucks but they are amazing in the Kenworth Hall and I like the cafe and gardens and kids train. A lot of people say they could stay longer because they must be very interested in transport history. Overall I very much like it here. A great day, such a experience, beautiful trucks and machinery, hours well spent looking around, deprecated volunteers, to talk to. If you love trucks, you cannot go past this place.